In previous studies of postmenopausal women, overall intake of fruits and vegetables groups has been inversely associated with estrogen receptor-negative (ER−) breast cancer. In this analysis, we prospectively examined the associations of specific fruits and vegetables with risk of ER− postmenopausal breast cancer among 75,929 women aged 38–63 years at baseline and followed for up to 24 years. Dietary data were collected seven times during this period. Cox proportional hazard models were used, adjusting for potential confounders, including a modified Alternate Mediterranean Diet score. We ascertained 792 incident cases of ER− postmenopausal breast cancer. The multivariate relative risk (RR) for every 2 servings/week consumption for total berries was 0.82 (95 % CI = 0.71–0.96, p = 0.01), and the RR for women who consumed at least one serving of blueberries a week was 0.69 (95 % CI = 0.50–0.95, p = 0.02) compared with non-consumers. Also, the RR for consuming at least 2 servings of peaches/nectarines per week was 0.59 (95 % CI = 0.37–0.93, p = 0.02). 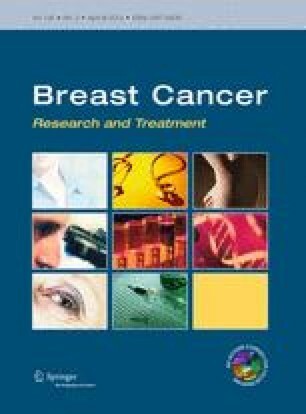 Risk of ER− breast cancer was not associated with intakes of other specific fruits or vegetables. In conclusion, higher intake of berries and peaches was associated with lower risk of ER− breast cancer among postmenopausal women. These results are considered exploratory and need to be confirmed in further studies. We would like to thank the participants and staff of the Nurses’ Health Study, for their valuable contributions as well as the following state cancer registries for their help: AL, AZ, AR, CA, CO, CT, DE, FL, GA, ID, IL, IN, IA, KY, LA, ME, MD, MA, MI, NE, NH, NJ, NY, NC, ND, OH, OK, OR, PA, RI, SC, TN, TX, VA, WA, WY. NIH Grants CA87969, HL60712, CA95589, and 1U54CA155626-01.